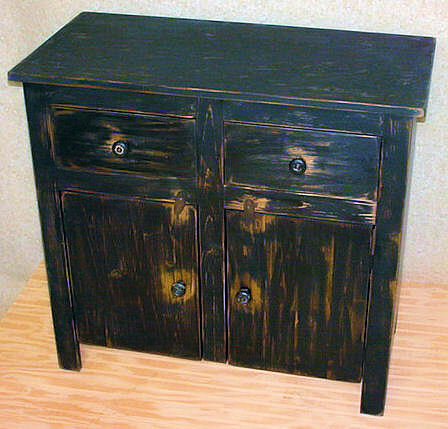 This primitive cabinet is made of solid pine, the top and face has been flattened with a draw plane to give it the unique primitive look and hand crafted feel. It has ceramic knobs and H hinges. It is 36"W x 18D x 32H. 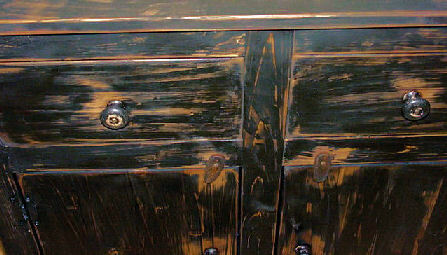 Have primitive furniture hand crafted to fit your space and your need.